The Indo-Swiss Building Energy Efficiency Project (BEEP), in collaboration with the state government, launched the Guidelines for Energy-Efficient and Thermally Comfortable Public Buildings in Karnataka. 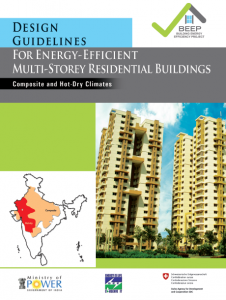 The guidelines have been developed keeping in view different climatic regions found in Karnataka and provides a step by step approach to designing efficient public buildings. The project BEEP is a bilateral cooperation project between the Ministry of Power (MOP), Government of India and the Federal Department of Foreign Affairs (FDFA) of the Government of Switzerland. The project is being implemented by the Bureau of Energy Efficiency (BEE), Government of India, and the Swiss Agency for Development and Cooperation (SDC). The overall objective of BEEP is to reduce energy consumption in new buildings and disseminate best practices for the construction of low-energy residential and public buildings. 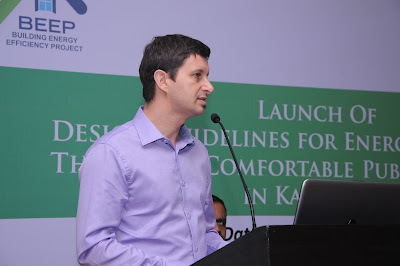 Daniel Ziegerer, Director of Cooperation, Swiss Agency for Development and Cooperation, Embassy of Switzerland, in his special address at the launch event said, "Already today, buildings are consuming a considerable share of energy in India and this share is likely to increase further in the future. Improving the energy efficiency of new buildings therefore directly contributes to ensuring India's future energy security. Public institutions should lead in this by example. I am thus particularly glad that SDC could contribute to the elaboration of guidelines for designing energy-efficient public buildings in Karnataka with technical assistance provided through the Indo-Swiss Building Energy Efficiency Project (BEEP)." Karnataka has seen its share of struggle in meeting rising electricity demand. Despite significant capacity addition since 2010, supply continues to be over-stripped by demand. In view of this, the state needs to not only produce more electricity, but also adopt strict energy-efficiency measures that make optimum use of the electricity available. This is why energy-efficient buildings take on special significance in offering opportunities to save electricity while reducing carbon footprint. For popularizing the concept of integrated approach to achieve a cost-effective energy-efficient building design in India, BEEP has provided assistance to the Public Work Departments (PWDs) of some of the states in designing Energy Conservation Building Code (ECBC) compliant buildings. BEEP began its partnership with the PWD Karnataka in June 2013 and has extended technical support ever since. This partnership has resulted in the formulation of this technical document, titled Guidelines for Energy-Efficient and Thermally Comfortable Public Buildings in Karnataka. The launch of the guideline document was followed by a training programme highlighting integrated design process, climate analysis for Karnataka, climate responsive design, efficient cooling systems and solar energy integration. It is hoped that the guidelines will be useful for architects, engineers and building project managers and will create awareness among the stakeholders about green building materials and energy efficiency measures.